With fireworks and fierce-looking dragons winding through the streets, the Chinese New Year festivities will get underway. It's the biggest and most exciting holiday in China! It is celebrated between mid-January and mid-February on a different day every year. In 2011 it was celebrated on Feb 5, the year being the year of the rabbit. In 2012 it will be celebrated on Jan 23, the year of the dragon. Following that, in 2013, it will begin on February 10, the year of the snake. Celebrations last for 15 days with many interesting customs. Each year is named after one of the 12 animals of the Chinese zodiac: rat, ox, tiger, rabbit, dragon, snake, horse, sheep, monkey, rooster, dog, and pig. The Chinese believe each person will have the characteristics of the animals whose sign you were born under. Use this site to find the year you were born and see if you agree. Before the start of the festivities, houses are cleaned to get rid of last year's evil spirits. Old debts are paid, new clothing is bought, cards are sent, and food is prepared. On New Year's Eve, the children are given good luck money in red envelopes. Red and orange are the lucky colors, and apples and oranges are considered to be lucky fruit. On New Year's Day, the stores are closed and everyone visits relatives. The second day is the birthday of the God of Wealth and windows are left open to let him come inside. A Money Tree is made by decorating pine branches with coins, paper flowers, and other ornaments to symbolize prosperity. During the holiday there are parades with lion and dragon dances. Both are powerful animals that scare away bad spirits. Firecrackers can be heard throughout the parades, scaring away spirits as well. The Chinese New Year ends with the Festival of Lanterns (Teng Chien). It is also called the Festival of the Full Moon (coinciding with the first full moon). This is a festival where colored beads, lamps, and lanterns are suspended from doorways and storefronts. Everyone is greeting people with the phrase, Gung Hay Fat Choy which means Happy New Year in Chinese. Have each child make a Chinese lantern to decorate the classroom. Put the two baskets together with the large openings facing each other. Wrap the twist ties around the ends of the baskets to hold them together. Do this in at least four places around the basket to keep them secure. If you do not have twist ties, string can be used to tie knots. Have the students wrap tissue paper around the baskets. Two layers of tissue paper are best. Tape the paper in place. To make a handle, punch a small hole through the tissue paper on opposite sides of the basket. Thread yarn through each hole and knot it. 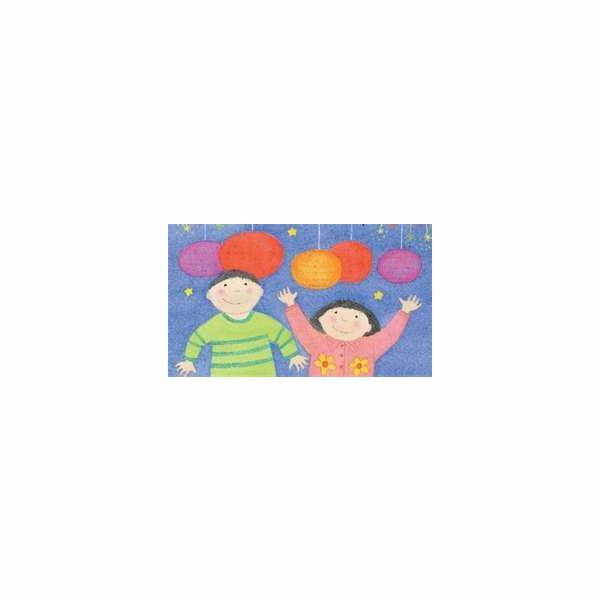 Invite the students to decorate their lanterns. They can cut out designs from various colors of tissue paper and gently glue these to the main lantern's body. Hang these around the room for lovely decorations. Dragons are good luck during the Chinese New Year. Each student can make a simple replica. Cut a strip from an egg carton so each dragon has six bumps in a row. Foam cartons are usually pastel colored, or the student can paint cardboard ones the color of their choice. 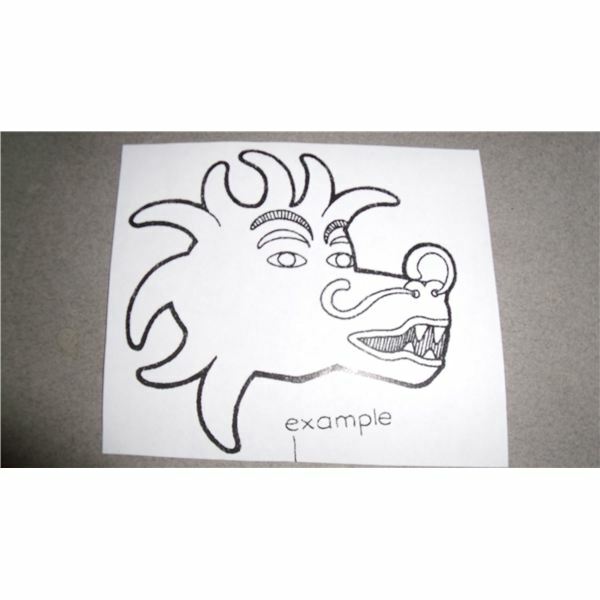 Draw and color a dragon face using the poster board or cardboard. Cut this shape out. Wrap crepe paper streamers or ribbons around the bumps, fastening them with tape. 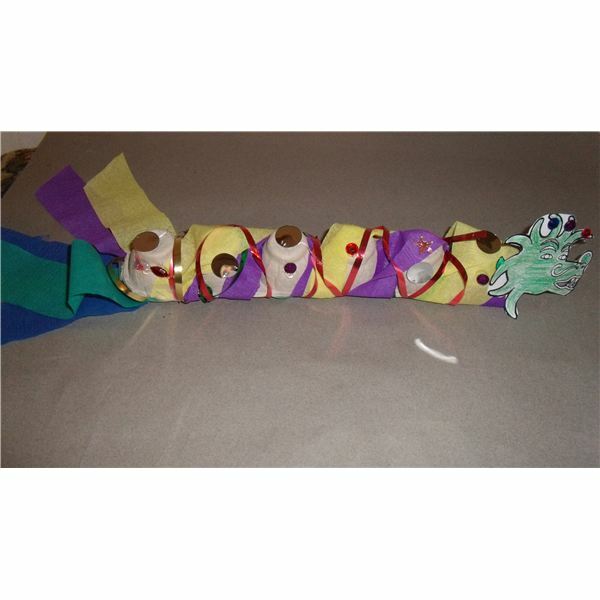 Make a tail of several colored streamers and attach this to the end of the bumps (dragon's body). Staple, tape or glue the dragon's face to the other end. Decorate the dragon with sparkling decors. These activities will be an added bonus as you study this multicultural holiday in your classroom. This is a great opportunity for the children to show off their creative side, as these decorations are dramatic, flamboyant, and great fun to make. Gung Hay Fat Choy!